Privacy and confidentiality is extremely important to us. We want everyone to feel comfortable when engaging with us. New Zealand law considers us to be ‘collecting health information’ when we talk with you. 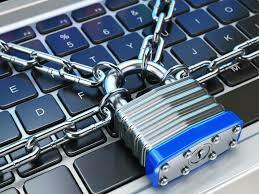 This means that we must comply with the Health Information Privacy Code (1994). You can read this at www.privacy.org.nz. The main reason that we ask you to tell us about yourself is so that we can assist in your recovery process. We may also ask you about things which third party funders (e.g. ACC or MSD) want to know. If we ask you about things you don’t want to talk about, you can choose not to talk. However, this might impact on the quality of service we can provide you with. When we talk with you, we will record some notes about our discussion which creates a paper memory to help with our provision of services and assists us in writing reports to third-party funders. We keep a separate file of these notes for each person, which may also contain correspondence from others (e.g. ACC) and any drawings or writing you give us. We protect information stored electronically with passwords and firewalls and don’t keep electronic copies of emails from you. Due to the personal nature of our notes and anything you tell us, we abide by strict confidentiality rules. Sometimes people may feel dissatisfied with aspects of our service. 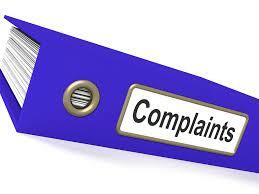 If you feel dissatisfied with aspects of the service you receive, please let us know. You can talk directly with your counsellor or a member of the Management Team on the telephone, send us an email, write us a letter, or fill out an online form. We aim to provide you with the best service that we can, so we will do our best to resolve your concerns, and do what we need to do to improve the service. If you need help to make a complaint, a free advocacy service is available through the Health and Disability Commission by phoning 0800 55 050. We respect your rights under the Health and Disability Code of Rights (1996). "Emotions will come in waves...take care of yourself and remember who you were before the abuse and who you want to become now"